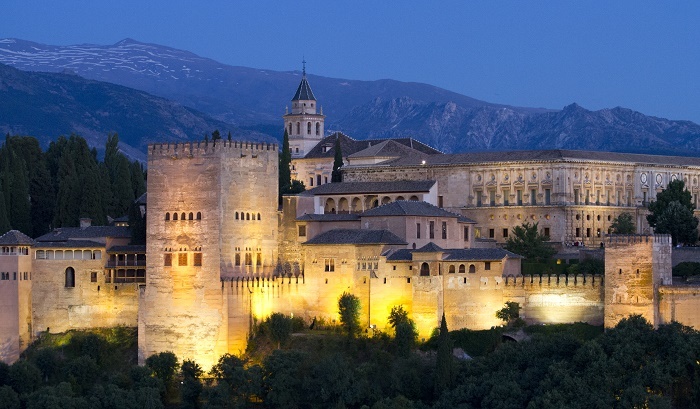 The Alhambra is a palace and also a fortress complex which is also known as Qalat Al-Hamra, located in city of Granada, Andalusia, in the Kingdom of Spain. 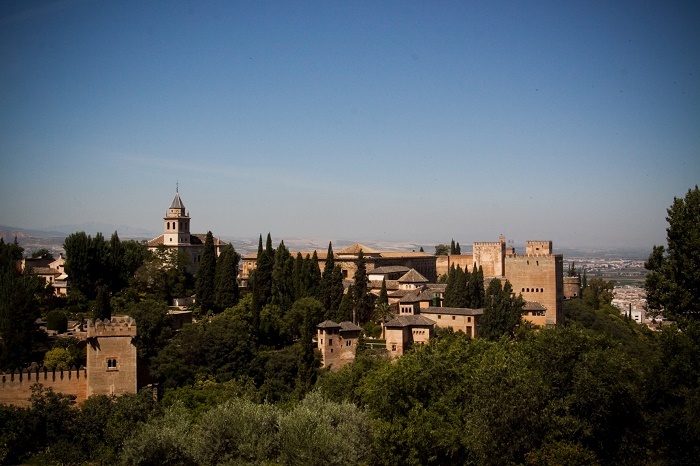 The name Alhambra, which comes from the Arabic language means ‘the red’ most likely due to the sun-dried bricks, called tapia, that are made out of fine gravel and clay. As a matter in fact the outer walls of the palace and fortress are built from this type of bricks. 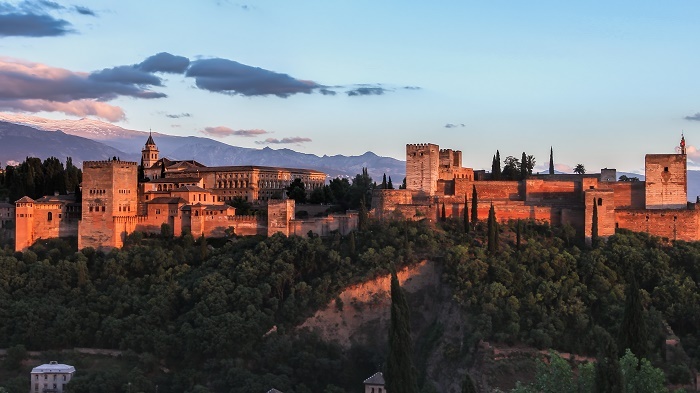 Built on a plateau that overlooks the city of Granada, it was at the beginning constructed as a small fortress around 889 on the remains of some Roman fortifications, where later did not have a great significance until the middle of 13th century, when the Moorish emir Mohammed ben Al-Ahmar of the Emirate of Granada has renovated and rebuilt it once again. 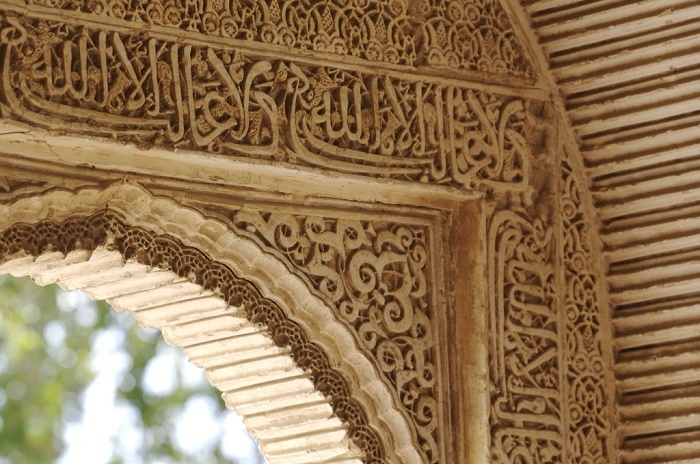 It is estimated that around 1238 the beginning of the renovation started, and the splendid decorations of the interior are ascribed to Yusuf I who was the seventh Nasrid ruler of Granada, and has turned it into a royal palace. 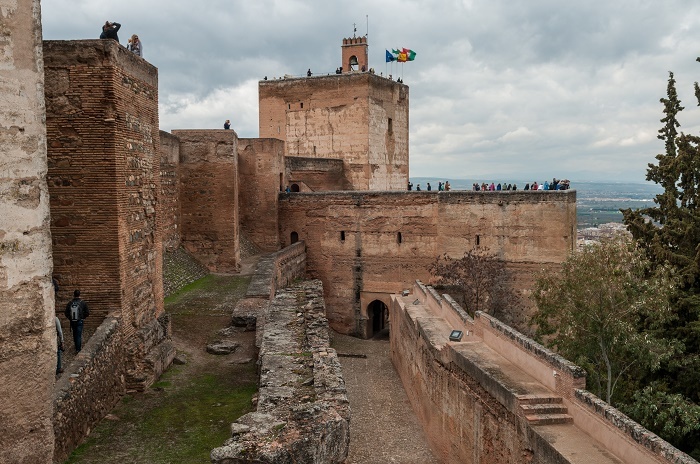 Nonetheless, when the Moors were expelled from the Iberian Peninsula in 1492, Charles V who ruled in Spain as Charles I, has rebuilt parts of the fortress in a more Renaissance style and destroyed part of the palace so that he would be able to build in 1526 an Italianate palace that was designed by Pedro Machuca. Later in 1812, the ground has been used as barracks by the French during the War of Independence and nearly blown up. There were also additional damages done by the 1821 earthquake, and seven years later a restoration of the whole ground began which continued throughout the 20th century. 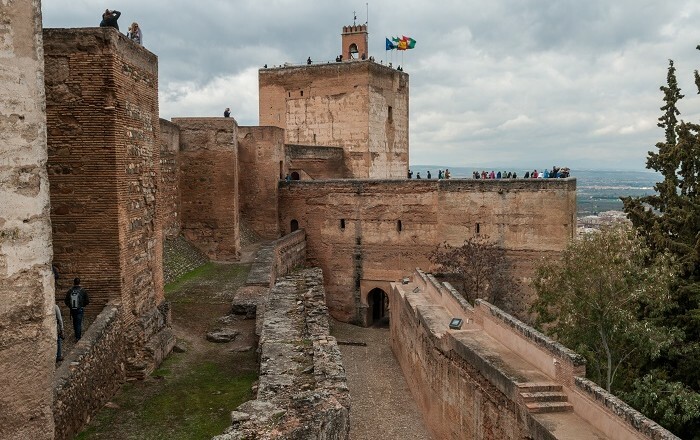 Due to the fact that the last rulers of the fortress and palace were the Christians, it also resembles as many medieval Christian strongholds would do that include a castle, a palace and a residential annex for subordinates. 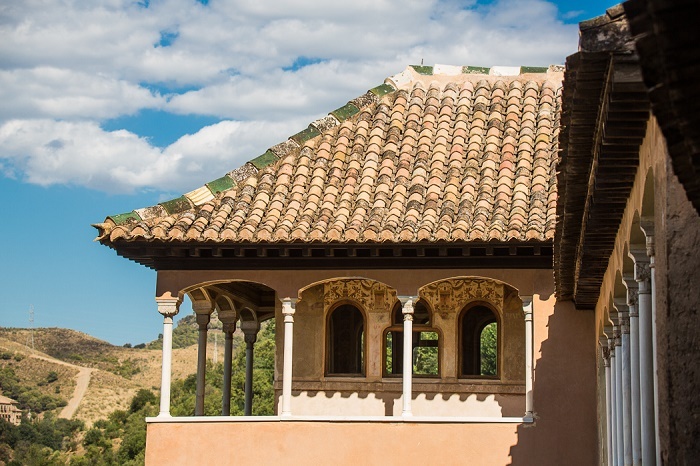 The Royal Complex consists of the Mexuar, the Serallo and the Harem. 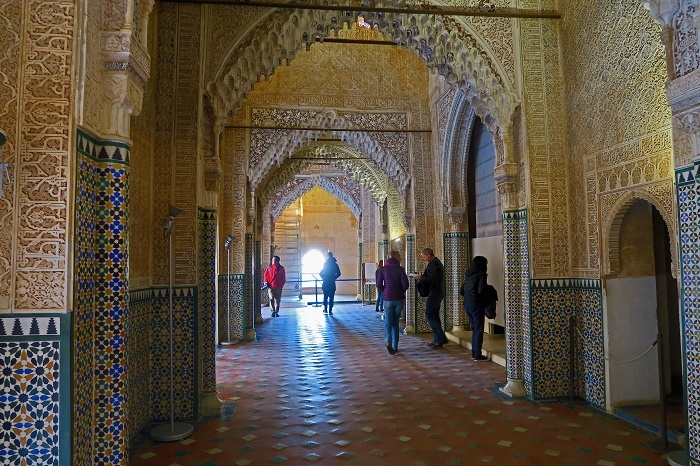 The Mexuar is however, modest in decor and houses the functional areas where usually business and administration took place. 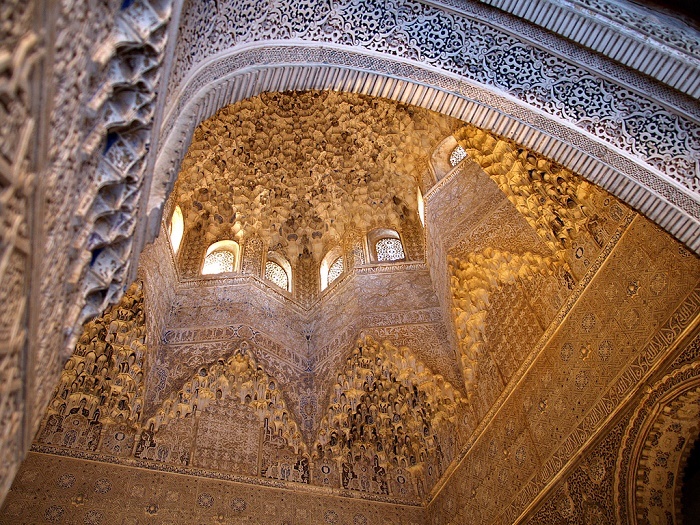 The Serallo has been built during the reign of Yusuf I, which is with brightly colored interiors and contains also the Patio de los Arrayanes (Court of the Myrtles). 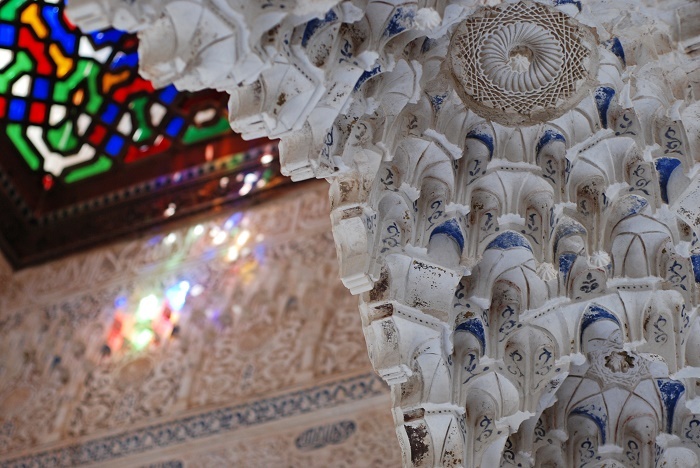 The Harem is also elaborately decorated and contains the living quarters for the wives and mistresses of the Berber monarchs. 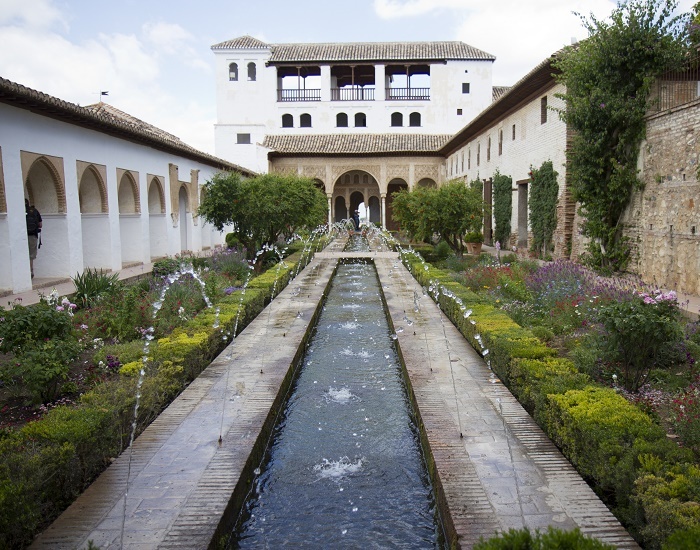 The Court of the Myrtles is a 42 meters (140 feet) long by 22 meters (74 feet) broad yard that got the name from the myrtle bushes which surround the central pond and the bright green color of which contrasts with the white marble of the patio. 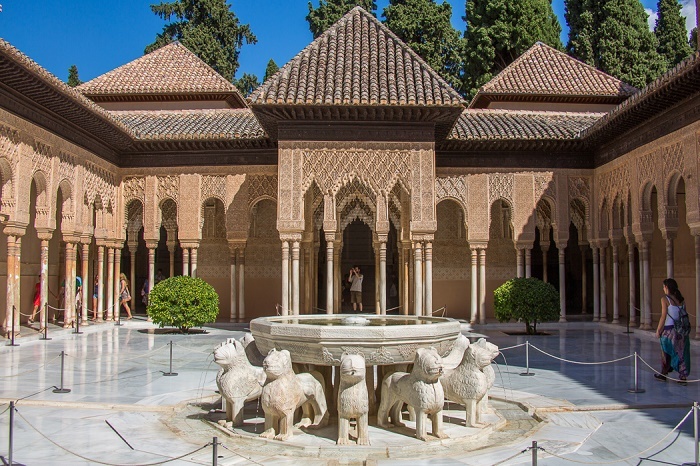 Furthermore, the Hall of the Ambassadors is the largest room in Alhambra which was the grand reception room where the throne of the Sultan was placed opposite from the entrance of the hall. 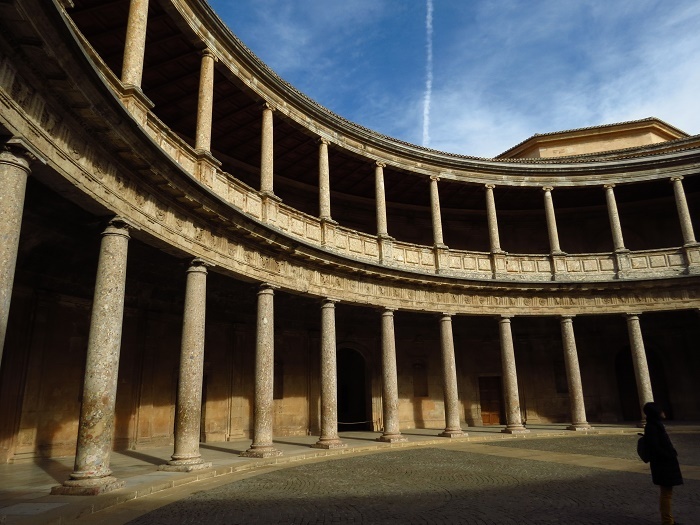 The Court of the Lions and fountains is another oblong courtyard which is surrounded by a low gallery supported on 124 white marble columns. The Fountain of Lions is located exactly at the center of the yard which is an alabaster basin supported by the figures of twelve lions in white marble, not designed with sculptural accuracy but as symbols of strength, power, and sovereignty, and each hour one lion would produce water from its mouth. 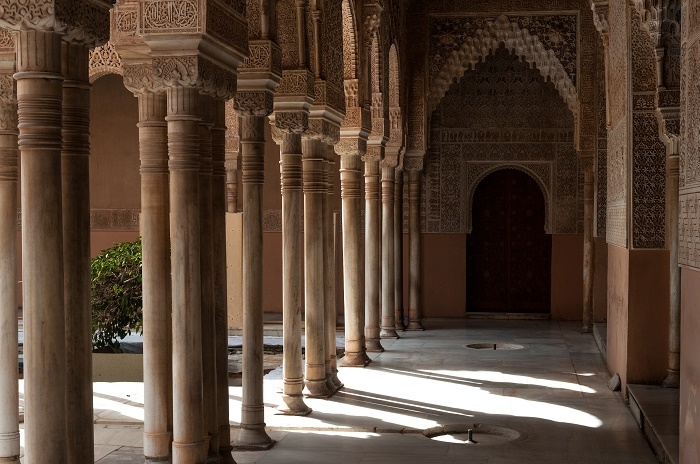 The Hall of the Abencerrajes which is named from a legend according to which the father of Boabdil, the last sultan of Granada, having invited the chiefs of that line to a banquet, massacred them here. As a perfect square with lofty dome and trellised windows at its base, it is a well example of rich decoration with blue, brown, red and gold colors, and there is also a fountain in the middle of the hall. 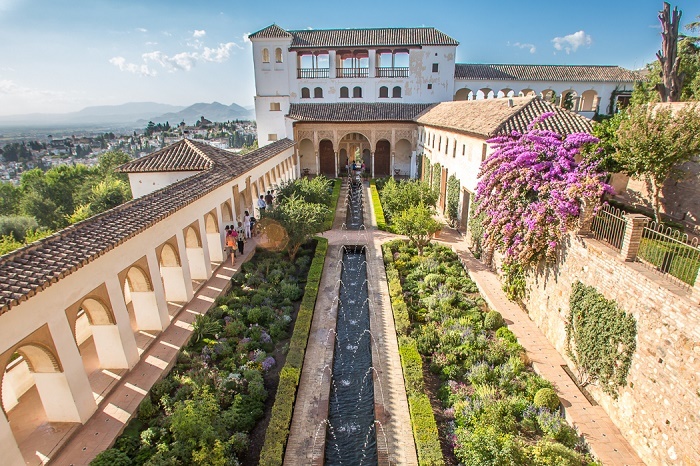 As these are the main and most important structures from the Alhambra, there is also the Palacio de Generalife, the Hall of Justice, Court of the Council Chamber, Court of the Vestibule and the Queen’s Robing Room. 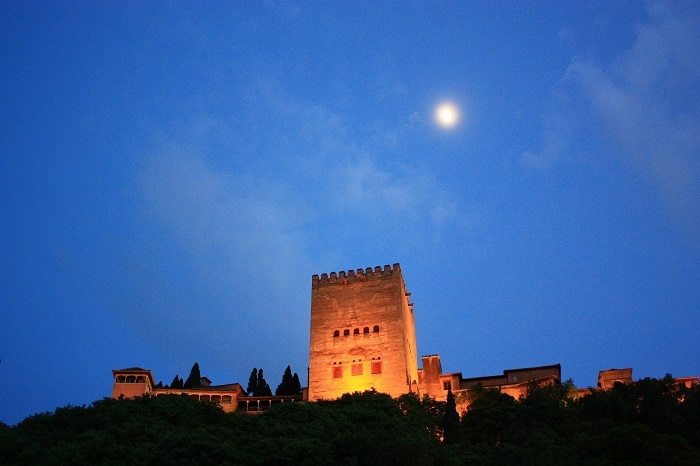 Due to the historic importance the Alhambra had, today the Alhambra, the Generalife and the historic district of Albayzín have been inscribed together in 1984 to the UNESCO World Heritage List, making them one of the most interesting places to be seen in southern Spain, as well as the entire Iberian Peninsula.